As most of you know I’m relatively a newcomer to the food blogosphere. I started my blog on 14th of March 2008. Around the 2nd week of April I came to know about Dining Hall (the old one) and Food Blog Desam and sent mails to be a part of it. I received mails stating that both these forums were not active. So when I found out about the new Dining Hall, I was really surprised and thrilled both at the same time. Thank you very much Siri and DK for doing this. They have started this new forum with a bang. One among the many creative ideas they are up to is the International Food League’s Open Sesame Contest. To make it short, we have to solve a riddle, for which the answer is an ingredient with which we have to cook and if you are lucky enough you may also end up with a prize! So first, I emailed Siri with oats as the answer, but she replied that it’s not oats. Then I googled barley and celiac disease and found that people with the disease should not consume barley. Then I googled celiac and millets and found that it’s good for the disease, so emailed that and found that it was the correct answer. There are many types of millets and the dishes that can be prepared with those are also countless. Since I love baking, I thought of baking millet bread. As mentioned in the riddle, I also came across a wonderful recipe for a stuffed bread using millets. It looked so yummy and simple to bake too. 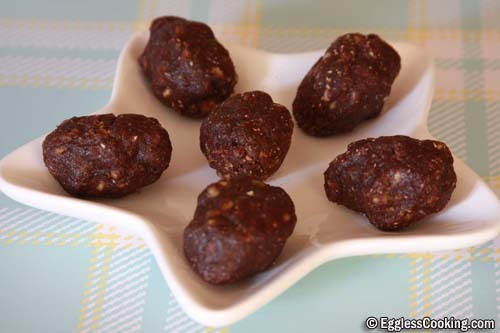 Instead I chose finger millet (ragi) and this kozhukattai (dumpling) recipe because the ingredients are easily available and anybody can make this. Not everybody will be interested in baking or everybody has an oven. So I wanted to make something very simple, delicious and nutritious too. 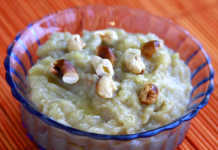 I have made the very same kozhukattai 3 years back when I saw the recipe in a Tamil magazine. Unfortunately I did not save the recipe. So I was searching the net for the recipe and to my luck, the very same recipe was published in another Tamil magazine very recently. In a frying pan, dry roast the mung daal for 2-3 minutes and cook it. Note that the daal should not be cooked completely. Don’t use a pressure cooker, it will become very mushy. In a saucepan add 2 cups of water and let it cook for a couple of minutes. It should be par boiled. Now drain this and keep it aside. 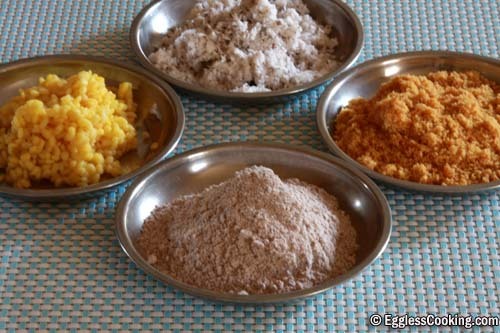 While the daal is cooking, dry roast the ragi flour also for a couple of minutes. 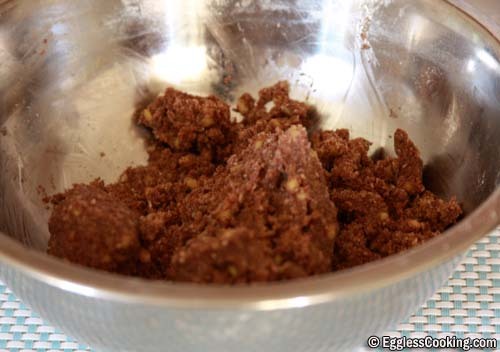 Ragi flour tends to lump and is sticky also. To avoid that, the flour is just heated for sometime. 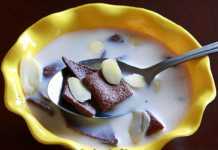 Combine the ragi flour, grated coconut, cardamom powder and cooked mung daal. In a saucepan add the jaggery and water just enough to cover the jaggery and heat it. Once the jaggery dissolves filter the solution to get rid of impurities. Now pour the liquid back into the saucepan and boil it for another 2-3 minutes. 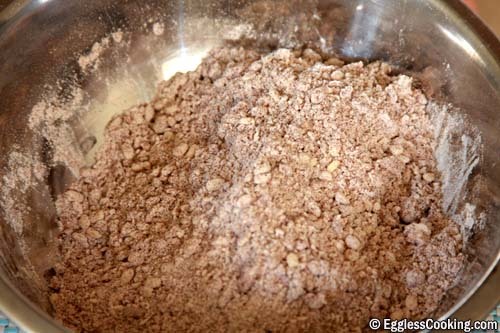 Add the liquid to the dry ingredients and combine to form a dough. Add some water/milk if required. Now pinch golf ball size dough and shape it into cylinders in your palm making a fist. I got 11 dumplings for the above measurement. Place it in an idli plate and steam it just like you would steam idlis, but for an additional 10 minutes. 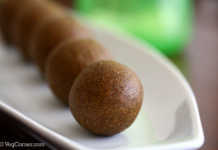 Ragi kozhukattai was very delicious. We all loved it. It’s a very healthy after school snack for kids, without oil and white sugar. Enjoy! As mentioned earlier, steam the kozhukattai for more time than you would steam idlis. Mine did not cook properly in the inside, so I had to steam it for another 10 minutes and it was done perfect. Also eat it immediately, it hardens after a while. 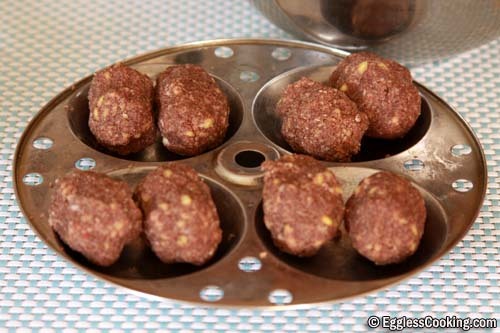 I am making this one ASAP….i live any kinda steamed dumplings and with ragi i can’t wait to try this.